Recently i came across this amazing DIY Face Pack and since then i love using this. So My DIY for today is very simple and all the ingredients are readily available in the kitchen itself. 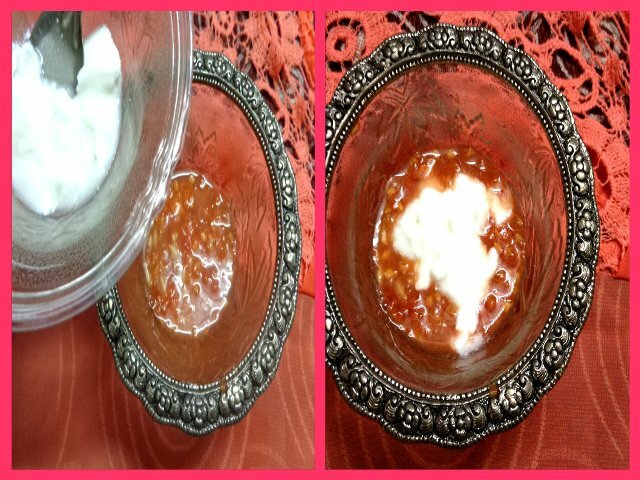 Just spare two minutes of your time and pamper your skin with this useful DIY. 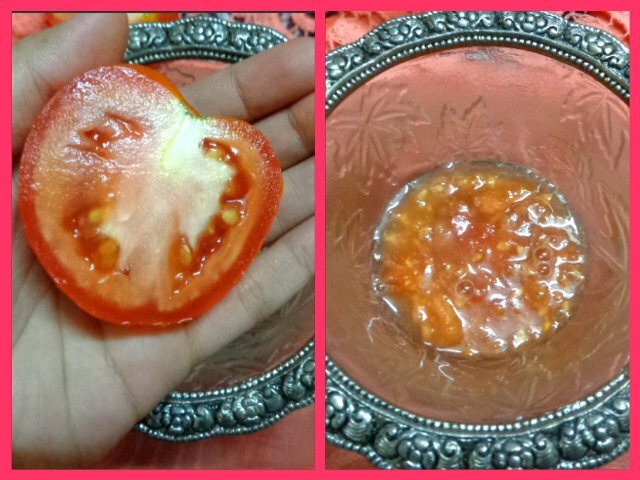 I have always had a soft corner for tomatoes for treating my skin and tomatoes actually work great for my skin and would do wonders for everyone because of its properties. So let’s get to work. 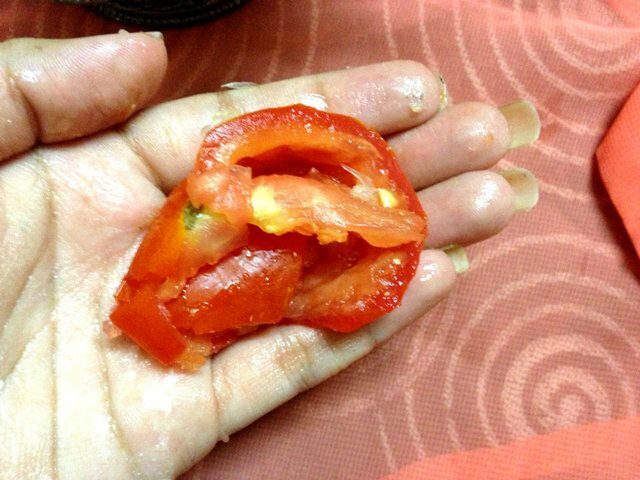 Step 1: Take a tomato which is fresh and cut it into half. Now take the tomato in your hand and squeeze it into a container. The motive is to remove all the tomato juice into the container and press it hard till you get all the juice. You will also get some crushed tomato particles and that will make your pack a bit thick. If you are fine with that much quantity then go ahead with the next step, if not squeeze the other half of the tomato as well. Do not throw away the tomato crush leftovers and the peels as we will be using them in step 4. Step 2: Now take half a lemon and again squeeze it in the container. The quantity of the lemon juice is supposed to be a bit less because lemon may dry up the skin or even cause itchiness. I feel half a lemon would be perfect to go with. Step 3: Now take the needed amount of curd and put it into the mixture. 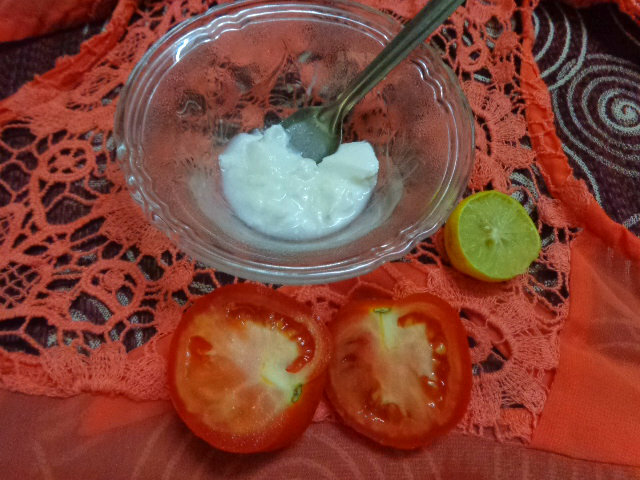 People with oily skin, do not get afraid of curd as it will not cause break outs. Even I have oily skin and it did not harm me at all because it gets diluted with the other ingredients. 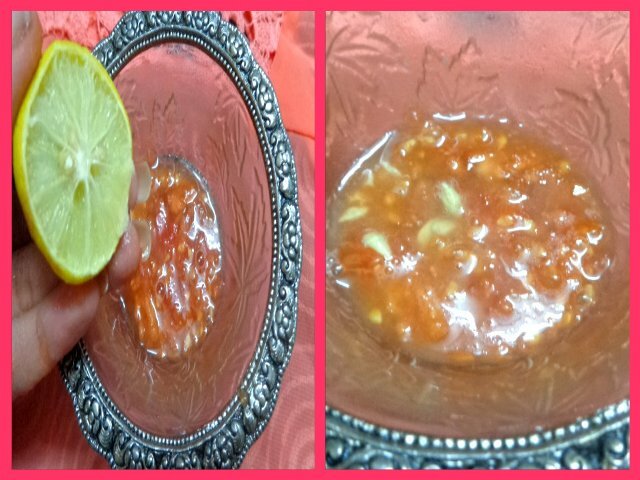 Step 4: Now take the leftover tomato crush and peel and before rinsing the pack, scrub the leftover on your face that will help to exfoliate and give a massage. Rub the peels and left overs in circular motions for two minutes and rinse it off. Follow up with a moisturizer. Now this would be a little runny to apply but you will see the difference after the first wash. 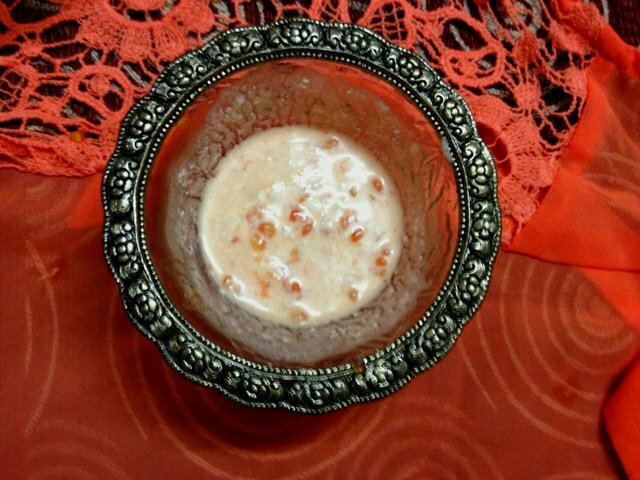 If you are not comfortable with runny paste then you can add besan or fuller’s earth to create a base. But rather I would suggest you to apply a mixture of only the three ingredients because they will react faster. • Lemon and tomato acid will dry up the pimples and help in reducing the size of the pimples and redness. • It will help to lighten acne scars, blemishes and pigmentation spots over time. • Lemon will remove the tan layer from the skin revealing a brighter layer. • Helps to provide a very healthy glow if used regularly every alternate days. • This pack can also be used on the body to remove tan and darkness. 1. While rinsing the pack wash your face with cold water. 2. Avoid eye area as it is very sensitive. 3. Pack can be kept for maximum 30 minutes. 4. It can be used every alternate days and that will bring faster results. 5. It can be stored for about 5 days and then a fresh quantity is supposed to be prepared. Thank you sooo much for reading..!! And surely do try this pack as it is surely going to give you the results mentioned above and I am using this one since months now and it was really helpful to me so thought of sharing it. Take care. DISCLAIMER : images taken from google.com. This is not my written article. i loved it so thought to share it. I love natural & organic products so these DIY treatments are right up my alley. Can't wait to try this!